Participants learn the basics of solar energy, electricity, solar installation and construction. 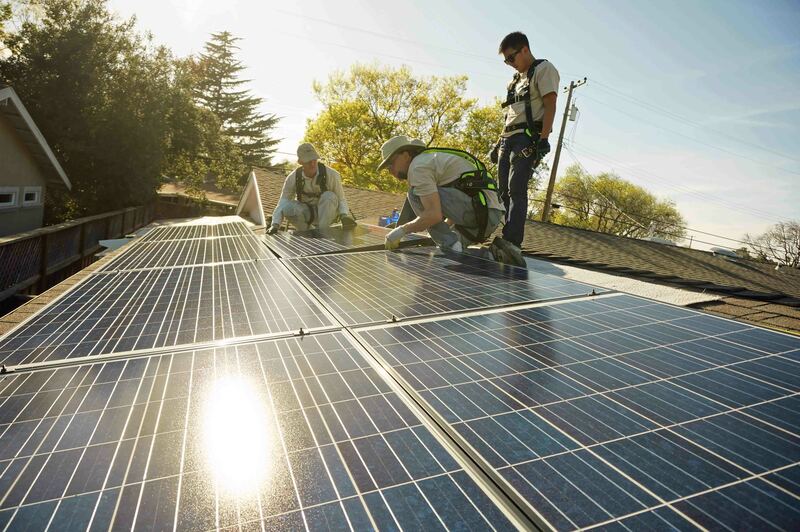 Afterwards, participants are eligible to volunteer for actual solar installations, working together with SunWork’s professional staff, attaching racking, running conduit, hanging inverters, and mounting the solar panels. Everything that make a system tick. This orientation session is indoors in a class room setting. SunWork and our volunteers install solar systems for home owners have a low electric bill (averaging less than $100 per month) where the economics of solar are not as compelling. We also install solar systems for nonprofit organizations. Our model lets us deliver solar power at a third less than the conventional cost, allowing more people to make the switch to solar.